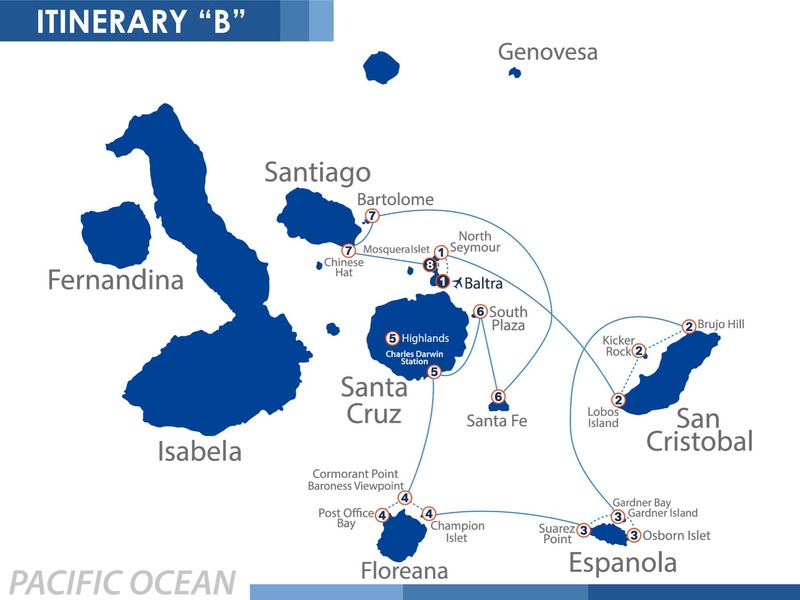 Nemo III Galapagos islands cruise ­ Availability and itineraries. The NEMO III Galapagos islands cruise itinerary is separated between North and South and alternates between week to week, similar to the NEMO Galapagos cruises. The NEMO III Galapagos cruise can be separated into 4-5-8 day cruise. 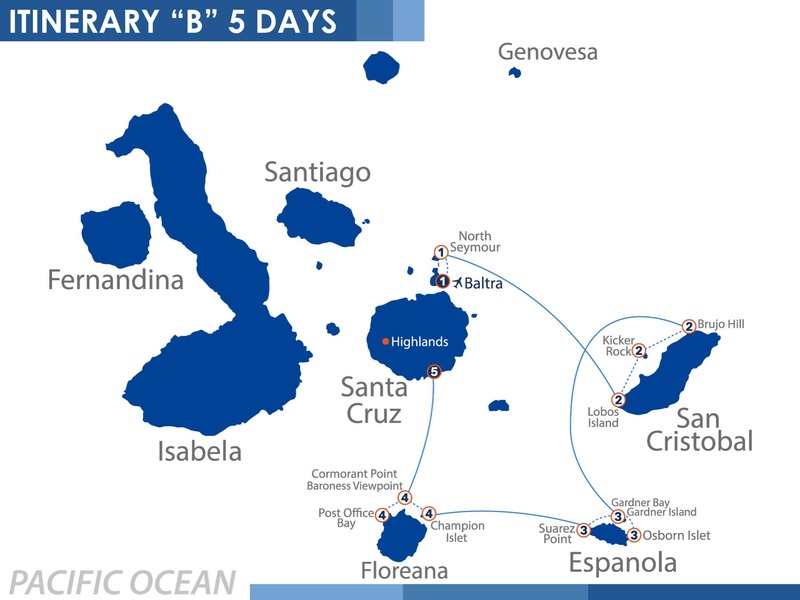 The NEMO III Galapagos cruise itinerary is 8 days and incorporated is separated into the 5 or 4 day cruise. The North NEMO III Galapagos cruise itinerary begins like the rest of the NEMO Galapagos cruises, on Sunday when you arrive in Baltra. A member of the crew then shuttles you to your NEMO III Galapagos cruise. The NEMO III Galapagos islands cruise itinerary begins right away on Santa Cruz that same day with an excursion which includes snorkeling on the beach. 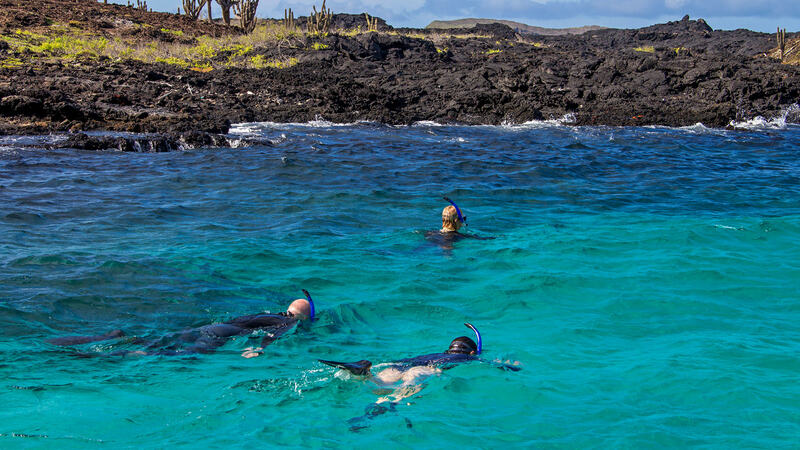 The following day the NEMO III Galapagos islands cruise itinerary continues onto Genovesa with more extraordinary hiking on amazing terrains and beautiful snorkeling. On the third day of your North NEMO III Galapagos islands cruise itinerary you venture to both Santiago and Santa Cruz on the same day. This portion of your NEMO III Galapagos cruise includes stops at both Sullivan Bay and Dragon Hill with several excursions on each. The middle of your NEMO III Galapagos cruise is very popular among our passengers. This day on your NEMO III Galapagos islands cruise itinerary you get to visit the breeding center and are exposed to the amazing tortoises that can be found all over the island. The fifth day of your NEMO II Galapagos islands cruise itinerary you head to Isabela and venture to both Moreno Point and Urbina Bay. Your bilingual guide takes you on a tour and you get the chance to do more snorkeling, a common sequence on all the Galapagos cruises itineraries. Day six of the NEMO III Galapagos cruise itinerary takes you to both Fernandina and Isabela, a special treat during your vacation being up close and personal with the amazing flora and fauna.On your last full day of this Galapagos cruise itineraries is on Santiago and you visit Egas Port and Bucaneer Cove. And the NEMO III Galapagos cruise evening ends with a delectable farewell dinner, which is a part of the entire NEMO Galapagos cruises repertoire. The final day you have one final excursion and you head to the airport putting an end to the NEMO Galapagos cruises. 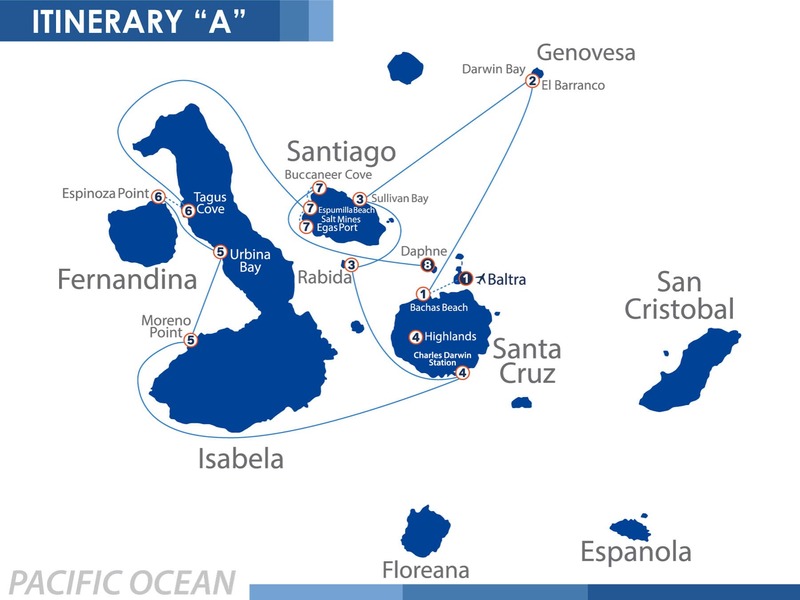 As you can see the Galapagos cruises itineraries has a jam packed schedule leaving every passenger a strong grasp of what the islands offer. The South NEMO III cruise itinerary follows the same protocol but with different sites. Every single one of the Galapagos islands cruises itineraries takes the passengers on a beautiful journey. After arriving in Baltra the crew sails to North Seymour to take in the beautiful scenery. The following day on the South NEMO III Galapagos cruise itinerary the voyagers are taken to San Cristobal and have several excursions including with the friendly sea lions. The NEMO III Galapagos cruise then heads to Espanola with Gardner Bay and Suarez point with some amazing deep water snorkeling. Towards the middle of the NEMO III Galapagos islands cruise itinerary is Floreana with stops at Cormorant Point and Post Office Bay with an excellent guided tour and more snorkeling. Day 5 entails traveling to Santa Cruz where you head to the breeding center with all the tortoises. The next day you head to South Plaza and Santa Fe to traverse the islands and snorkel a highlight on all the NEMO Galapagos cruises. The Galapagos islands cruises itineraries has its last full day in Bartolome and Chinese Hat before completing the NEMO Galapagos islands cruises with a farewell dinner. The final day of the NEMO III Galapagos islands cruise itinerary has one final walk on Mosquera Islet before heading to the airport. All the Galapagos islands cruises itineraries have a unique flair to them and with such a professional crew it will be a vacation you will never forget. The NEMO II Galapagos cruise availability is in operation the entire year. What is so amazing is that these magical islands are located along the equator making it a spectacular destination anytime during the year and check our NEMO III Galapagos cruise availability to see what fits best. 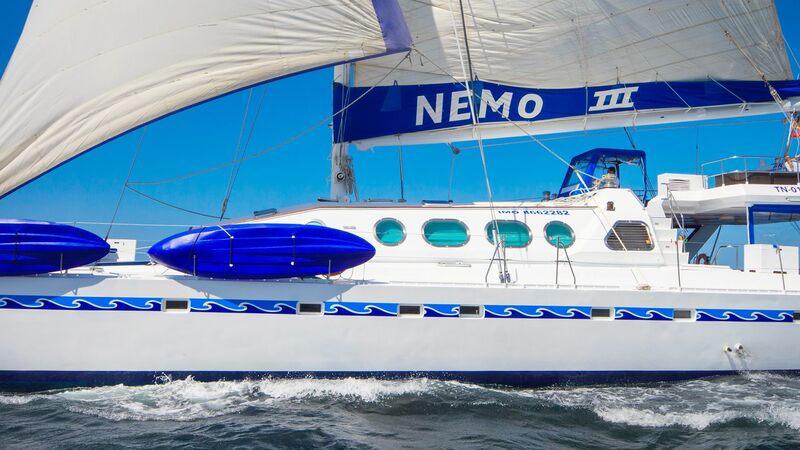 These NEMO Galapagos islands cruises can be done in 8-5-4 days. The maximum occupancy is 16 passengers so make sure to check the NEMO III Galapagos cruise availability to see if we have enough space for your party. If we do not have the exact dates you are interested we can always check the Galapagos cruises availability for our entire fleet and I am sure we can turnaround a very pleased party. The NEMO III Galapagos cruise availability is updated in real time and our customer service specialists can assure of the exact number spaces available for a particular date. Since the NEMO III Galapagos islands cruise availability has the options of different lengths of time for their NEMO Galapagos islands cruises allows for much more flexibility. Once you have settled on a date with the NEMO III Galapagos islands cruise availability then you can start preparing for the NEMO Galapagos islands cruises. The NEMO Galapagos islands cruises has a professional crew awaiting your arrival ready to cater to all your needs. Our customer service professionals will prepare and update the NEMO III Galapagos islands cruise availability to reflect your freshly booked vacation. All Galapagos cruises availability has alternate itineraries to provide potential customers with a wide variety of options. The NEMO III Galapagos islands cruise availability is uploaded below. All of the Galapagos cruises availability is separated between the North and South Itinerary. 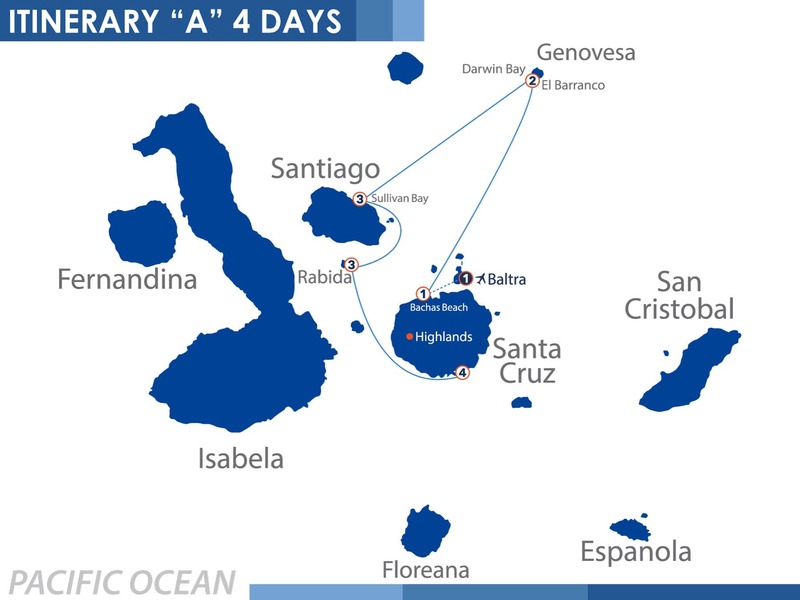 As you can see below in the NEMO III Galapagos islands cruise availability all of our cruises begin and end on Sundays. Something to keep in mind when taking a look at all of the Galapagos islands cruises availability. What makes the NEMO III Galapagos islands cruise availability much more attractive is that you have the option to elect different cruise lengths appealing to a wider a population. 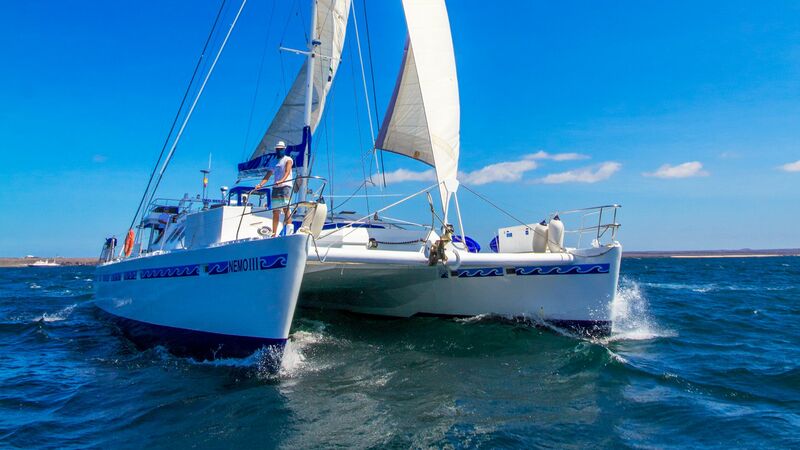 Which can be a struggle when looking through other Galapagos islands cruises availability. There is widespread info on the Galapagos Islands and it is important to be well informed on the Galapagos cruises availability to make sure you have the best possible vacation. Please make us aware if you have any questions about our NEMO III Galapagos islands cruise availability. Our customer service professionals know the ins and outs of the NEMO III Galapagos islands cruise availability and can reassure any doubts. Book with us today and take the voyage of a lifetime!